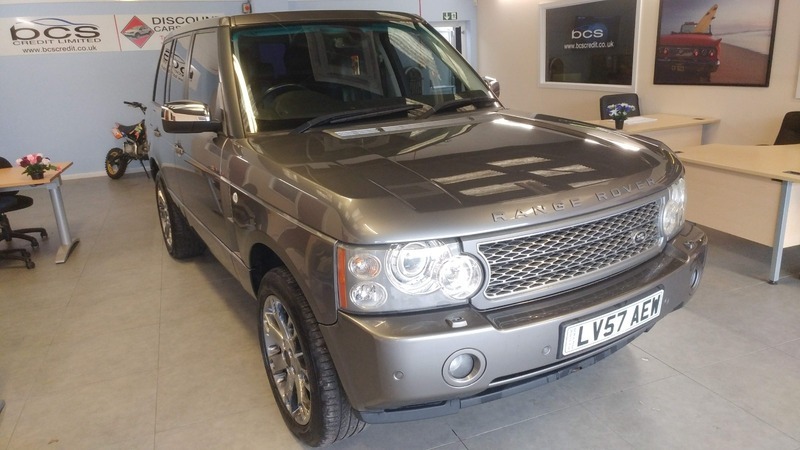 Land Rover Range Rover TDV8 VOGUE finished in Grey. Diesel/Automatic. This car is great, it looks fantastic in Grey with privacy glass and the black full leather interior, if you are looking for a car that has the genuine WOW factor then this is it at a brilliant price. The thing that really stands out about this car is the overall condition. The car has done just over 10k miles per year on average since new, the bodywork is in fantastic condition and there is a striking set of 20" alloy wheels. The great thing about this car is the fact not only does it have sat nav but it has bluetooth in built so this car is not only comfortable but practical for commuters and families alike. At times these cars can be classed as 'old fashioned workhorses', this car has clearly not had a hard life and represents amazing value for money. The car is jam packed with features as you would expect including air-conditioned seats, cruise control, climate control, rear passenger air conditioning, touch screen coloured display, Bluetooth, sunroof, Xenon headlights, Sat Nav, parking sensors with the added bonus of a parking camera, rain sensor windscreen wipers, steering wheel controls plus much much more. Simply put this car is beautiful, is wonderful to drive and the gearbox is incredibly smooth. If you want a car that delivers on spec and performance this is it as despite being comfortable it is powerful, the 3.6 Diesel engine delivers 272 BHP! 5 services are showing in the service book and this wonderful car comes with 6 months dealer warranty and 12 months AA complimentary breakdown cover to give you added peace of mind when buying this fantastic Range Rover Vogue.